How to reduce fine lines under eye? Did you notice a few fine lines around your eyes? Do not panic! You are not getting older, you just need to fight them as soon as possible until they become true wrinkles which are much more difficult to treat. Remember, fine lines under eyes are not real wrinkles and you do not need to fill them with different cosmetic fillers (such as Dizao Hyaluronic Wrinkle Filler of Dizao Collagen Wrinkle Filler). Treatment for fine lines should be totally different. All you need to get rid of fine lines is to make your face muscles relax. The easiest (and also the safest) way to relax muscles is to apply a BOTO face mask with peptide complex. Peptide complex as effective in terms of muscles relaxation than botox injections but it does not demand any surgical procedures to reach even the deepest layers of the skin. How does it penetrate so deep into the skin? The fact is, that its molecules are so small that going through skin cells is not a big deal for them. When peptide complex reaches the deepest layers of the skin, it starts to relax tense muscles. When the muscles are relaxed enough, they stop pressing the skin and pursing it. So all your fine lines disappear. Stop asking yourself how to get rid of fine lines under eyes! Apply a BOTO eye mask to see instant effect after the very first application and prolonged effect after the course. To wipe fine lines from your skin is not complicated with Dizao BOTO masks. Be fine without fine lines! Are you going to a Christmas party, do not forget to read these glowing skin tips first! 1. Eat clean! When it comes to skin glow, it is always about general health of your skin and, when it comes to general health of your skin, it is always about eating healthy! Eat more vegetables and fruits, avoid fat and sweet food. Of course, you can have a small piece of cake and a cocktail during the Christmas party but no more. 2. Do not overload your face with makeup. Foundations and powders do not only hide your natural skin glow, they also damage your skin and cause imperfections. 3. One of the most important beauty tips for glowing skin is the advice to sleep more. But do not show excess of zeal, otherwise you can end up with puffiness and baggy face. Eight hours is enough. 4. Give additional moisturizing to your skin! The best and the simplest way to moisturize your skin is a face mask with a hyaluronic acid. Surely, you can moisturize your skin with other substances such as oils (but hey can clog your pores), glycerin (but it is not effective enough) or with other chemical moisturizers, but hyaluronic acid, being the best natural moisturizer, hydrates your skin better than them. 5. The last but not least advice in the row of tips for glowing skin is to smooth your skin surface with peeling. The fact is, that when your skin surface is not even enough, your skin cannot glow from inside out because skin imperfections reflect this glow and light does not cover your skin in a proper way. Remember, that peeling should always be soft! Follow these skin glow tips and we guarantee that you will look fresh and beautiful at the Christmas party! How to get the best face lift? When we are talking about face lift we do not mean surgery. We are totally against plastic surgery and its immense danger for our beauty as well as for our health. We are totally convinced that non surgical face lift can be as effective as surgical one, but the best thing about it is that it does not represent danger. We insist that natural face lift is the safest way to reduce sagging of the skin. In accordance with this understanding we created Dizao BOTO face masks. Dizao BOTO face masks guarantee natural face lift without resorting to plastic surgery. A wide collection of natural ingredients were put together in a range of super-effective formulas to lift your skin and firm your face contours. Bio-gold and hyaluronic acid, collagen and calcium, all of them are there to lift every centimeter of your face skin. Chin lift is another important sphere where Dizao BOTO face masks have a lot of success. The fact is that chin lift is much more complicated than face lift. To be the leader in this sphere Dizao developed very special patterns for its tissue BOTO face masks. These patterns cover not only your face but your neck as well. The pattern adjusts your skin very tight to model your face contours. 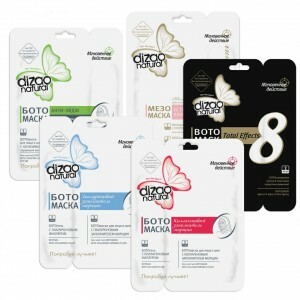 Dizao BOTO face masks are sculpturing them by making skin more elastic. As a result your face gets very refined and graceful contours, the skin gets lifted. By covering the neck, Dizao BOTO face masks manage to rejuvenate it as well. Rejuvenation of neck skin is not less important than face one. With Dizao BOTO face masks there is no need to hide your neck to avoid it contrasting with younger-looking face skin. BOTO masks allow you to be young overall. Try a Dizao BOTO mask and a thought about surgical face lift will never come to your head again. Go in for safe anti-aging, buy Dizao BOTO face masks! Which plant extracts nourish your lashes in the best way? Organic makeup is one of the best presents that you can give to yourself. Organic makeup does not only make you more beautiful today, it takes care about your long-term beauty and well-being. Organic mascara, as well as organic foundation and organic lipstick, is the very basis of any organic makeup. We created Dizao organic mascara using only coffee beans, wax, oils and plant extracts to provide you with the best basic makeup product ever. But which plant extracts are really good for your lashes? We think that there are a number of plant extracts which can be beneficial for lashes and organic rice extract, organic lemon peel extract and organic grapefruit seed extract are the most effective ones. Organic rice extract is widely used to condition hair. It make them softer, improves their texture and stimulates their growth. We used organic rice extract in mascara because it produces the same effects on your lashes. Do you want to stimulate growth of your eye lashes? Organic rice extract is the best cosmetic ingredient for that! Organic lemon peel extract is a perfect emollient. It makes your lashes softer and thicker. Organic grapefruit seed extract is a natural preservative, it is added to natural cosmetics to let it remain fresh for longer time even though they do not contain parabens and other chemicals. Moreover, organic grapefruit seed extract contributes greatly to beauty and health of your lashes. Allow these three extracts to condition your lashes and turn their texture into wonderfully soft silk. Allow your lashes to try the best all natural mascara. Does your skin need lifting and smoothing and you are contemplating about botox injections? Stop! You do not need them! Dizao BOTO face masks are developed to become the best botox alternative ever. They actively shape your face contours, lift them and fill your wrinkles (even the deepest ones). Who needs botox injections when there is such an effective alternative to botox? Moreover, this botox alternative is natural! We carefully collected the best anti-aging cosmetic ingredients from nature to make your skin young! Apply botox cream of the first stage of a BOTO face mask to start your anti-aging routine with Dizao. This botox cream for face will prepare the skin for the tissue face mask of the second stage. All Dizao botox creams can be used as independent anti-aging serums, but produce the best effect, when applied before a BOTO mask. A BOTO tissue mask of the second stage covers your skin with its non-woven material which is thick enough to tighten your skin for better lifting effect and it also thin enough to let your skin breath. We impregnated Dizao BOTO masks with our unique BOTO formula with natural ingredients and wonderful anti-aging effect! 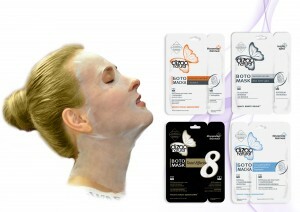 Dizao BOTO masks are professional and widely used in SPA salons and sold in pharmacies. But from now on you can order them on our website! So do not hesitate to try the botox alternative ever and stop thinking about botox injections because with Dizao BOTO masks you simply do not need them! 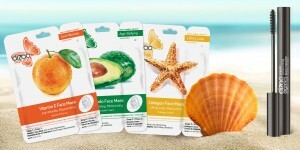 Enjoy totally new experience of skin care with Dizao face masks! Dizao is always ready to offer you Beauty. Benefit. Delight! If you are looking for skin care experience which can be compared with procedures which a SPA salon provides Dizao face masks will be good solution for you! From the very first application you will see how good facial masks by Dizao are. Every centimeter of your face skin will be covered by non-woven material of Dizao sheet mask. The sheet will generously lavish a huge amount of moisture to your skin and not a single drop will be lost. Along with moisture, the sheet will give your skin a number of nourishing ingredients and will solve any of your skin problems, no matter if it is premature aging, appearance of wrinkles or acne. We promise that when you take away the sheet you will be surprised to see how much a Dizao face mask can improve your face skin. But, although effects, provided by Dizao sheet masks surpass effects of any other tissue masks, we think that sky is a limit in terms of skin perfection. That is why we created the second stage of the masks. The second stage of a Dizao face mask is not a regular skin cream which you apply after a face mask. The second stage of Dizao face masks is a wonderful mix of a skin care cream and an anti-aging serum, adjusted to your skin needs and to the sheet mask itself. Do you want to have a skin cream and a sheet mask at the price of one skin care product? Give a try to a Dizao mask! If you want to learn what goods face masks are, try Dizao and you will see that, actually, they are the best face masks. We explored the bosom of the sea to find the best cosmetics ingredients ever. 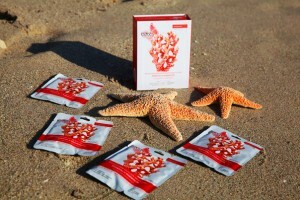 We found marine collagen and pearl powder, corals and algae, red caviar extraxt and shark oil. We collected all these ingredients and brought this wonderful collection to Dizao face masks to make them soak revitalizing energy of the sea. All these marine cosmetic ingredients, when incorporated in the formulas of beauty masks, work wonderfully to create your skin perfection. For example, marine collagen restores youth of your skin. Actually, collagen skin care is one of the most amazing things that the sea has to offer! Collagen skin care products contribute to elasticity of yous skin so that it looks as young and fresh as if you have just turned 16. Dizao developed a number of formulas, based on collagen, to impregnate ist face masks. Moreover, Dizai created the collagen cream of its second stage to make skin care even more effective. But the fact is, that collagen is not the only ingredient which is found by us at the bottom of the sea and works effectively to make your skin young and beautiful. Pearl powder evens skin tone, corals and algae actively nourishes the skin, shark oil is full of Vitamin A and fatty acids so that it can transfer them to your skin. Do not miss the chance to plunge into the sea with Dizao to open the world of ultimate beauty and youth! Become the Dizao Beauty! Bring Beauty.Benefit.Delight! to the world! Subscribe to Dizao_UK Instagram page, repost this announcement, share your gorgeous photo with the hashtag #Dizao_Beauty, become the Dizao beauty and get your picture published on www.dizao-shop.com! The competition will last for 6 months, each month all subscribers of our social network`s pages will choose the winner of the month who will get Dizao cosmetics as present and whose photo will be published on our official website! In March we together will choose the Dizao Beauty! Show your beauty to the world with Dizao! Share your photo today! Meet 5 new Dizao sheet face masks for better skin rejuvenation! We are happy to say that now you have a wider choice of Dizao face masks for more effective natural skin rejuvenation! Dizao ”Hyaluronic acid” face mask is an inexhaustible resource of moisture for your skin. Hyaluronic acid has the second large proportion in the formula of the mask (the first is water). Such a concentrated formula works perfectly to nourish your skin with water. Dizao ”Honey” face mask helps you to rediscover effects which a homemade honey face masks usually produces. Calming, soothing, nourishing and other effects, which a typical for DIY honey face mask, are present in its Dizao analogue! But the fact is, that Dizao not only copied a well-known DIY face mask, we multiplied all its effects and add a lot of collagen to it to boost replenishing processes. Dizao ”Avocado” face mask is based on avocado oil. Avocado oil plays a very important role in natural skin rejuvenation and you can see it in action! The name of Dizao ”Collagen” face mask mainly is based on collagen, one of the best skin rejuvenation treatments. Are you tired of sagging skin and need extra lifting? Collagen will do the job perfectly! When we were looking for a key ingredient to Dizao ”Vitamin C” face mask, it was not an easy decision. Finally, we decided to use Vitamin C and never regretted since then. Vitamin C does not only whiten your skin and improves your skin tone, it also eliminate all wrinkles from your face. Try all new Dizao face masks and do not forget to share your opinion about them in social networks with the hash tag #dizao! Dizao mascara is available in the new, more colorful, package! Meet you favorite Dizao mascara in a new, more colorful package! 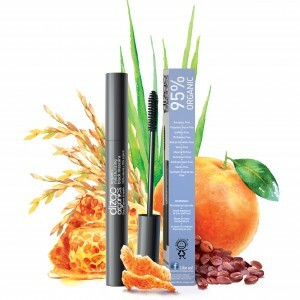 We wanted to show you how natural Dizao mascara is that is why we painted an orange on its package! We like watercolors for their graceful and inspiring beauty and we painted all packages of our cosmetics with them. 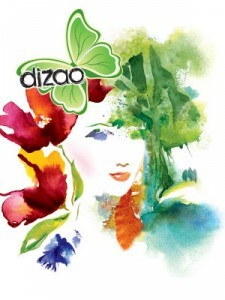 All packages of Dizao sheet masks and all Dizao lip balms are covered with wonderful watercolors of flowers and fruits. Now Dizao mascara is not an exception anymore. Still 100% natural and 95% organic Dizao mascara is a wonderful mascara to make your lashes thicker, longer and healthier without using a single chemical! We hope that you will love the new package of Dizao mascara and estimate at its truth worth all the features of the best non clumping mascara, the best mascara for sensitive eyes, the best smudge proof mascara. Let your lashes enjoy Dizao organic mascara while you will enjoy its aesthetic impact!